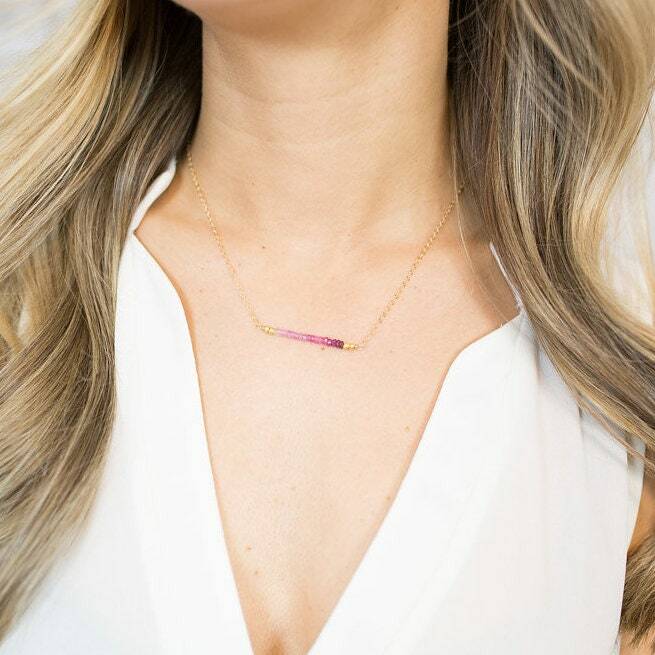 This dainty ruby necklace features a bar of tiny onbre rubies on 14k gold filled chain (or silver). 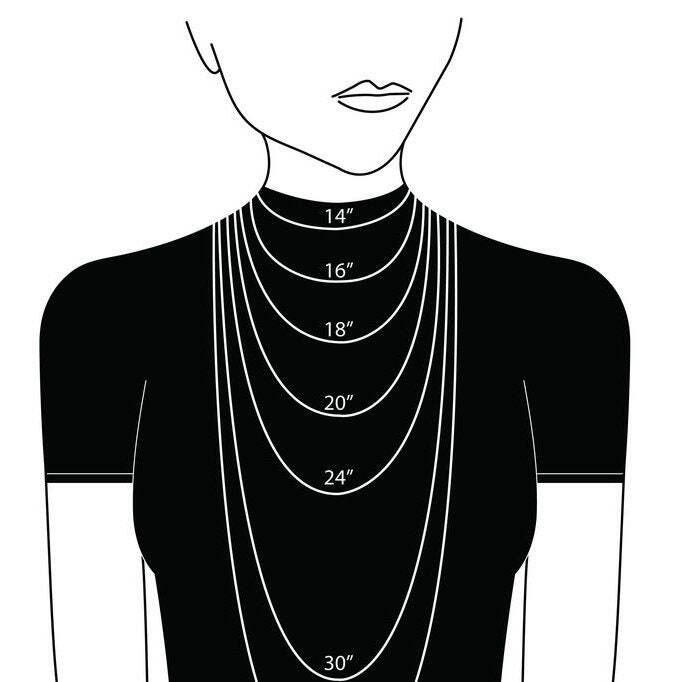 It's a beautiful top layer, but also looks perfect by itself! 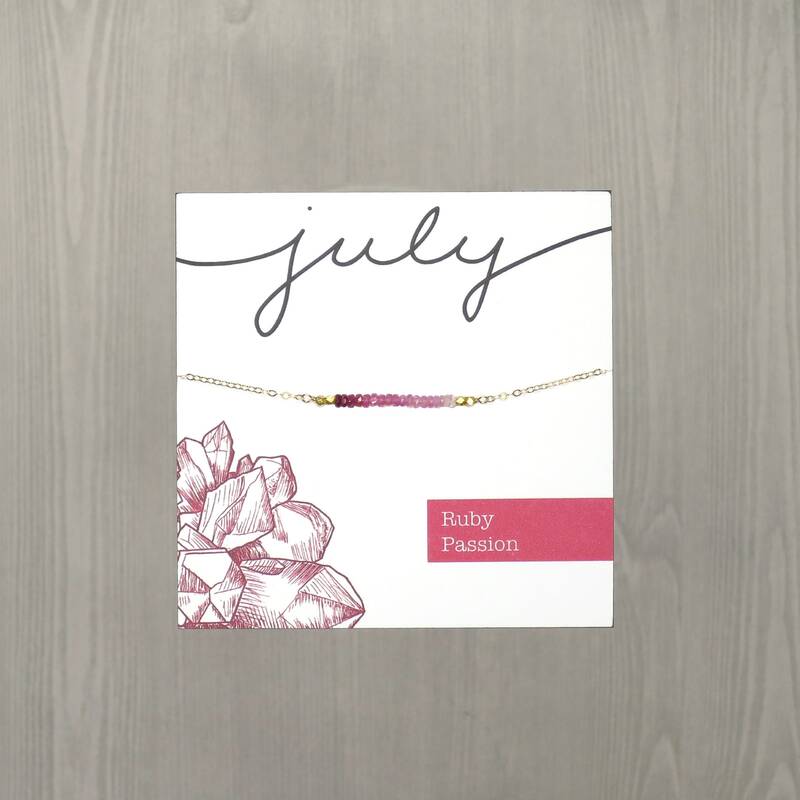 A perfect July Birthday gift featuring the July Birthstone!